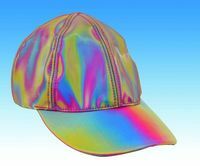 The year 2015 brings many advancements according to the blockbuster Back to the Future series - everything from hoverboards to self-drying jackets - including Marty McFly Jr's signature color-changing cap! 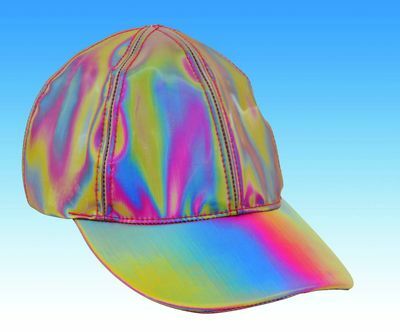 Reproduced in every detail, this one-size-fits-all replica cap features ultra-refractive fabrics, Velcro closures, and enough 21st century tech to erase more than a photograph! Add this temporal trapping to your ensemble now before you run OUTATIME! A+++++++This hat is a must for the bttf fans.looks just like the one in the movie to T!!! Legal Notice: Entire contents trademarked (® or TM) and copyrighted (©) 1986-2019 by Things From Another World, Inc. and respective copyright and trademark holders. All rights reserved. Page rendered at 2019-04-25 21:01:41 in 0.294 seconds.